Slaw is a raw crunchy salad where all the vegetables, mostly variations of cabbage, are julienned and dressed with either creamy or vinegar based sauce. Although I am a veggie lover, I don’t even go near coleslaw at a house party or picnic because the soggy vegetables lathered in creamy mayo just don’t appeal to me. 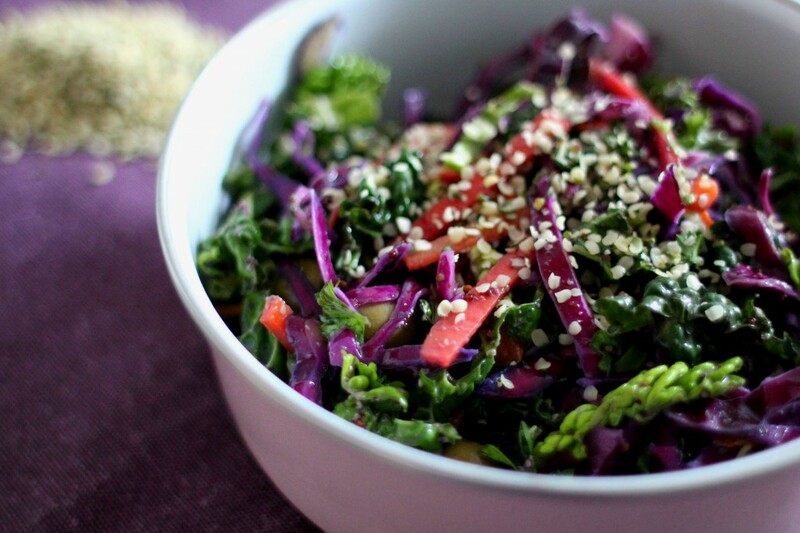 This slaw, on the other hand, is crunchy, healthy, vibrant, colourful and delicious. 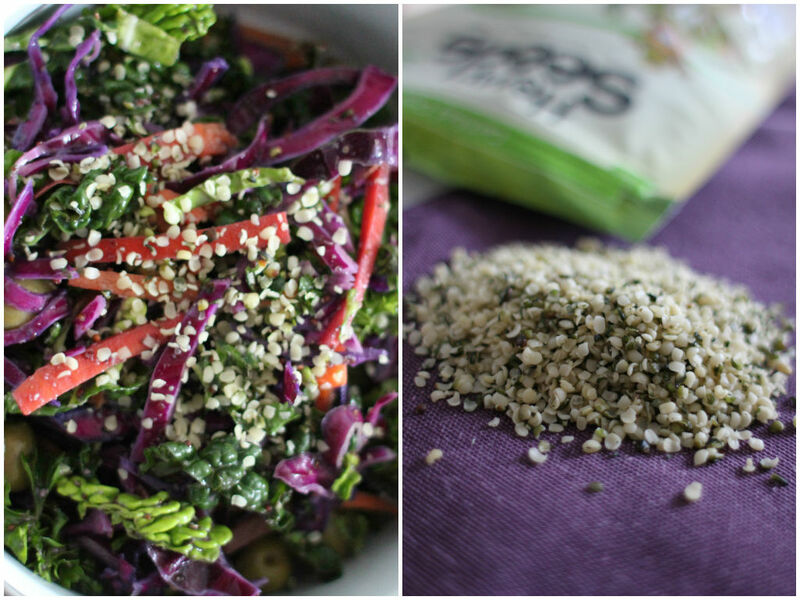 A big bowl of raw cabbage slaw with a simple dressing plus a sprinkle of hemp seeds is a perfect go-to green salad. Hemp is a new ingredient for me that I just started experimenting. Knowing it comes from cannabis plant family and is not for human consumption kind of has put me off, though I wanted to find out what all the fusses are about. From what I have read on the internet, hemp has amazing health benefits. Hemp seeds contain all of the essential amino acids making them an excellent source of vegan protein. The essential fatty acids are abundant in hemp seeds and come in a healthy anti-inflammatory 3:1 ratio of omega-6 to omega-3 fat, that is highly beneficial to humans. It is also a rich source of disease-fighting, plant-based phytonutrients and anti-aging antioxidants, such as vitamin E, which help protect your immunity, bloodstream, tissues, cells, skin, and organs. It surprisingly has a beautiful nutty and creamy flavour, great for salad toppings, adding in your cereal or smoothie and in raw desserts. Sprinkling on salads is by far my favorite way of using them. Prepare dressing by whisking all dressing ingredients in a small bowl. Mix the shredded cabbage, carrot and chopped parsley in a large bowl. Pour the dressing over salad and gently massage with clean hands. Transfer to a salad bowl and sprinkle hemp seeds.